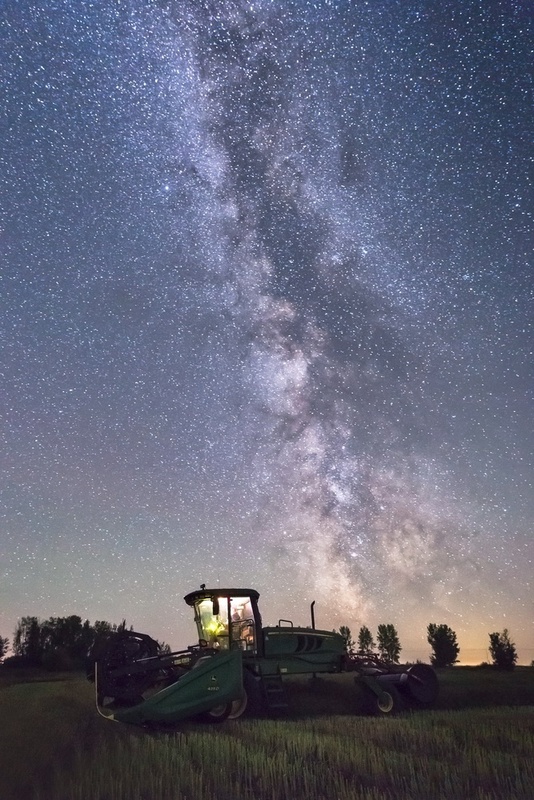 I was out taking Milky Way photos and came across my dad swathing. Got him to stop and got this great image of the swather and the Milky Way. It was my shot of the night.